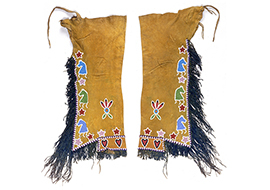 Clothing & Personal Items | A Song for the Horse Nation - October 29, 2011 through January 7, 2013 - The National Museum of the American Indian - Washington, D.C.
As European and Native cultures met, new styles developed. 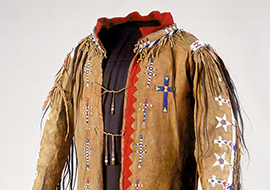 Western-style clothing and new trade materials, such as glass beads, wool, and cloth, would influence Plains culture. 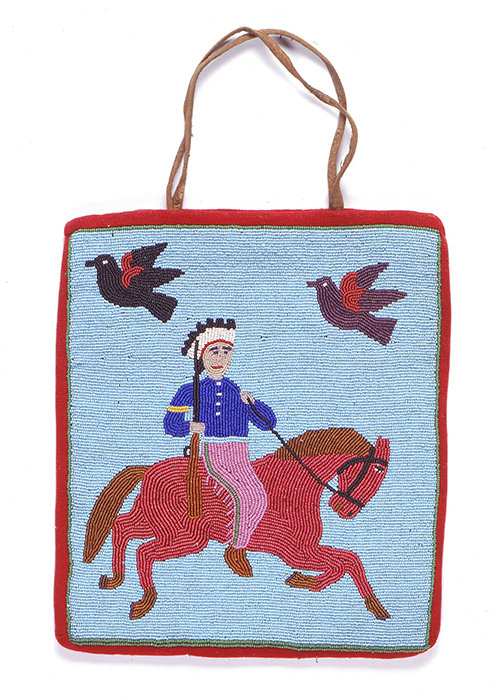 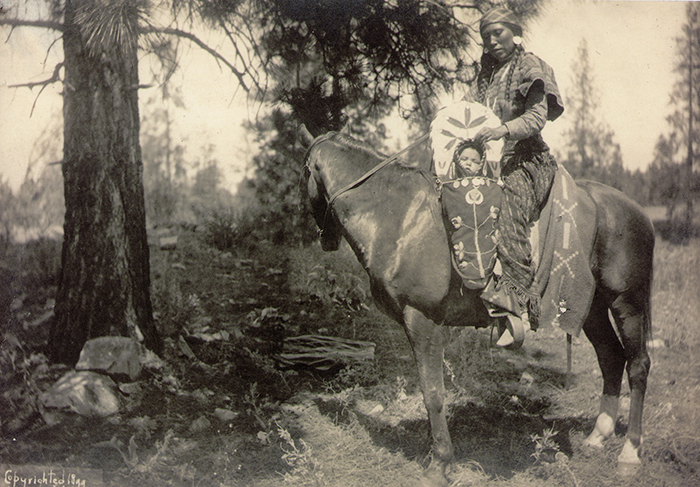 Beaded horse designs would now be depicted on Western-style clothing and other personal items. 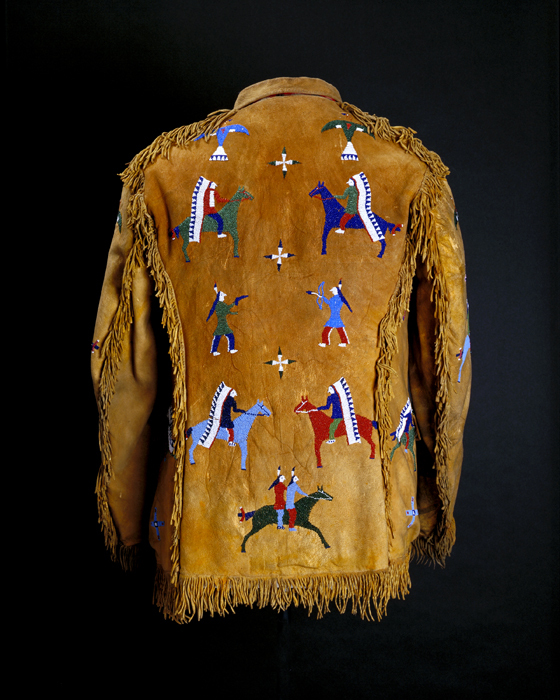 This Western-cut hide jacket is beaded with figures on horseback. 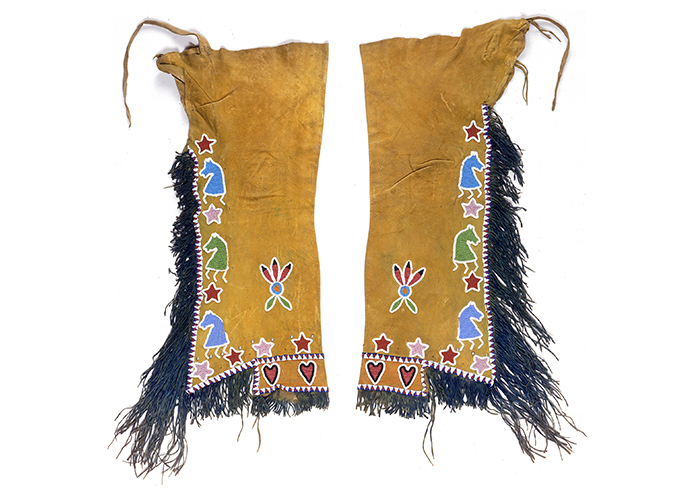 But instead of illustrating an individual’s exploits, these are simply decoration. 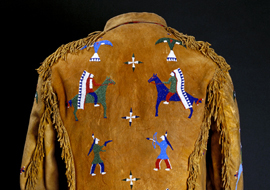 The horses’ tails are doubled and tied in preparation for battle. 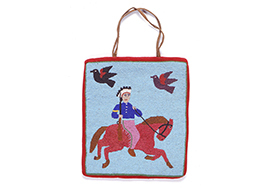 The Native peoples of the Plateau region (covering modern-day Idaho, Oregon, and Washington State) have a long artistic history of weaving cornhusk bags. After trade goods became widely available, they made cloth bags decorated with glass beads. 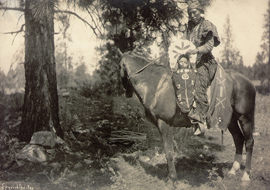 This one features a man astride a prancing horse, wearing what appears to be the Army uniform of a corporal. 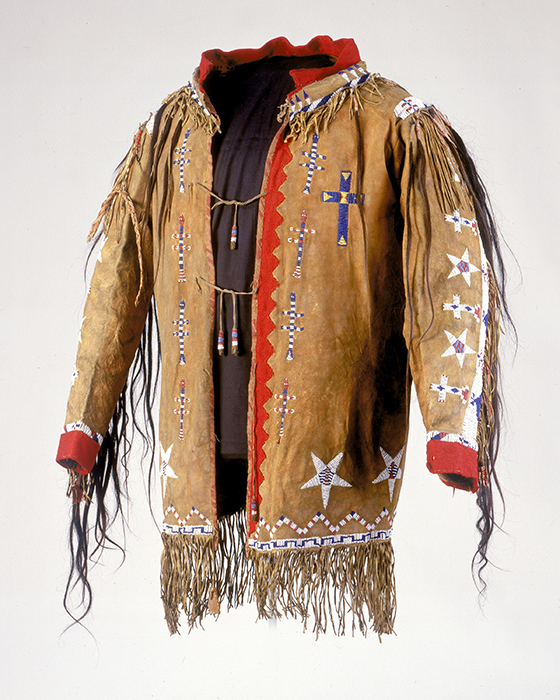 This Western-style tailored coat reflects the influence of the white world on Plains culture in its straight body, even hem, and collar, as well as in its decorative use of five-pointed stars and crosses. 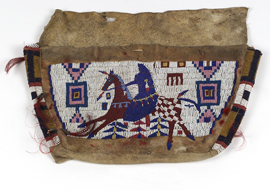 The two-toned speckled horse with the horn on its forehead could represent a pinto or a spirit horse.